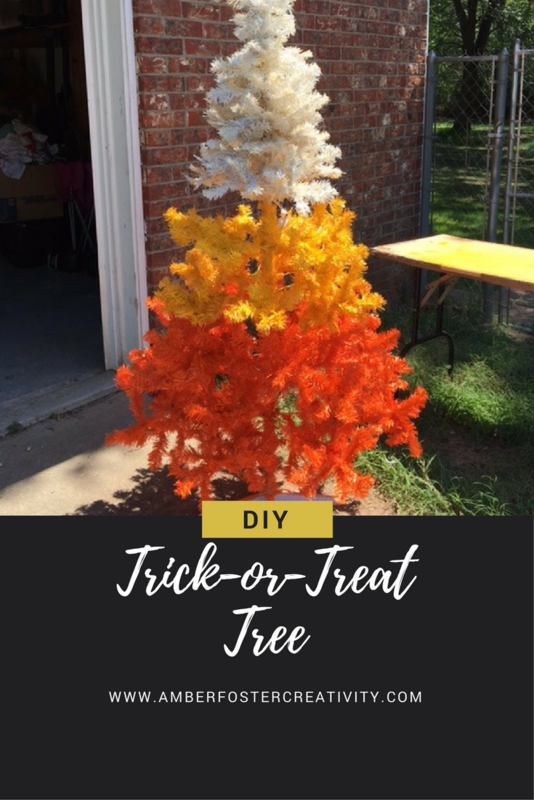 I actually made this tree last year and I had so many requests for more, that I thought I would share with yall how I made it! I started with my favorite spray paint and an old dingy, white pre-lit tree. I was worried about the lights being covered up too much by the spray paint and not shining through, but it wasn't a problem. I painted the bottom orange first. I went branch by branch and spread them out as I went. The spray paint covered really well. I then painted the middle yellow and the top white, which was a little trickier because they didn't stand up on their own. I stacked each piece to dry after painting. I set it in a galvanized tub and added some decoration. Trick-or-treat! I am so making this! Thank you for an adorable idea! 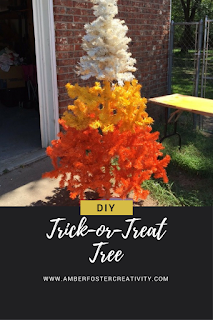 I just saw you on Hometalk making this tree. It’s a great idea, the decorations are great! Very cute!